"Hazard’s dribbling, Giroud’s hold-up play and Alonso’s overlapping will cause problems in the inside-left position"
Match Odds: Chelsea [1.77], Man Utd [5.3], The Draw [4.0]. Manchester United's impressive comeback against Newcastle last time out has eased some of the pressure on Jose Mourinho, but realistically a defeat would be hugely damaging here, leaving United ten points off the top of the league already, having lost as many matches as they have won. 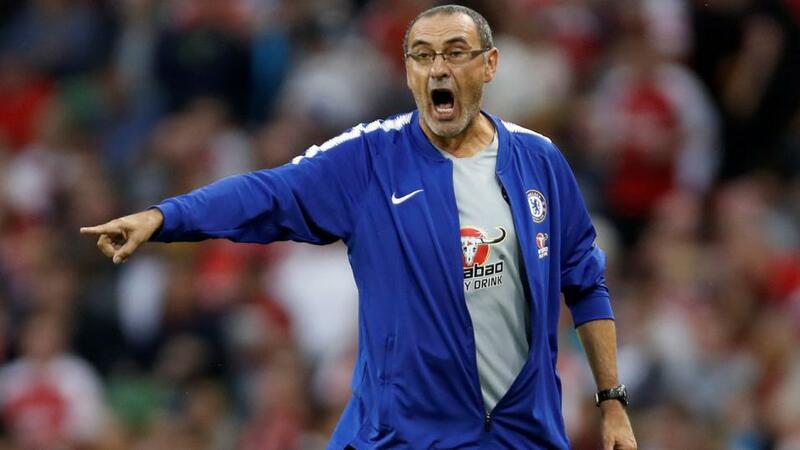 Being outwitted by his former side would prove particularly embarrassing for the United boss, and Maurizio Sarri is the type of forward-thinking manager who illustrates that the game has rather moved on since Mourinho's successes at Chelsea. Sarri's start to life in the Premier League has been remarkably impressive, with Chelsea currently level with Liverpool and Manchester City on 20 points at to the top of the Premier League. His philosophy has been embraced fully by his new charges, and Chelsea are dominating almost every match. Their performance last time out, against Southampton, was somewhat less convincing than the 3-0 margin of victory would suggest, however. Sarri's side is already very familiar. David Luiz has enjoyed a few good weeks alongside Antonio Rudiger at the heart of the defence - although the latter is a slight injury doubt - with Cesar Azpilicueta as reliable as ever on the right, and Marcos Alonso still a goalscoring threat when pushing forward from left-back. Jorginho anchors the midfield excellently, with N'Golo Kante still slightly unconvincingly pushing forward to the right. The third midfield slot is up for grabs, with Ross Barkley impressing against Southampton and his good form playing him back into the England side, although Mateo Kovacic might start instead here. Wilian has regained his place on the right over Pedro Rodriguez, while Olivier Giroud seems more effective than Alvaro Morata at leading the line, despite his lack of goals. Then there's Eden Hazard, the Premier League's best player so far this season with seven goals in eight matches. He's darting infield into central positions more under Sarri, and his efficiency in the final third is excellent. Mourinho's main priority will be stopping Chelsea rather than defeating them - and, first and foremost, that means stopping Hazard. In previous meetings with his former club, Mourinho has often man-marked Hazard, with Ander Herrera called upon to play that role. Herrera is rated as doubtful for this game, however, so Mourinho could turn to Scott McTominay or Phil Jones as Hazard's marker, almost sacrificing a solid defensive shape to ensure the Belgian is closely tracked. The base formation is likely to be 4-3-3. Centre-back remains a serious area of concern, although Chris Smalling and Victor Lindelof wil be more worried about Hazard's runs than the threat of Giroud. Out wide, Antonio Valencia has often struggled this season and could be exposed by the combination of of Hazard and Alonso. Luke Shaw, fresh from signing a new contract, is considered doubtful and Ashley Young could play left-back instead. Mourinho is likely to opt for a physical midfield trio. Herrera will probably start if fit, but if not then Paul Pogba will probably be joined by Nemanja Matic and Marouane Fellaini. Fred is another option, and could play the box-to-box role from the right. Currently, however, it's difficult to see what Mourinho's first-choice combination is in the centre. Upfront, Alexis Sanchez is another considered an injury doubt. Juan Mata made an excellent impact against Newcastle but probably isn't right for Mourinho's counter-attacking approach here. We can expect to see Romelu Lukaku upfront with Anthony Martial and Marcus Rashford either side, with the latter two dropping back into deeper, wider positions without possession. Chelsea seem most likely to cause problems with long balls towards Lukaku into inside-right positions, behind Alonso and on the outside of David Luiz. Set-pieces may also be a major factor - United will probably have a significant height advantage over Sarri's men. But I think Chelsea's passing combinations will be too much for United. Jorginho will dictate play, probably free from any United pressure, while Hazard's positioning, Giroud's hold-up play and Alonso's overlapping will cause problems in the inside-left position. I'll back Chelsea to win to nil, at [3.2]. Jose Mourinho’s side have a had a poor start to the season and their blushes - and perhaps the manager's job - were only saved by an incredible second half comeback to win 3-2 against Newcastle at Old Trafford last time out. In complete contrast, Chelsea find themselves sitting second in the league, only on goal difference and are yet to lose this campaign. They have looked a formidable outfit so far this season and, in Eden Hazard, they boast the Premier Leagues leading marksman with seven goals from his eight starts. Chelsea are trading around [1.8] to win this and I find it hard to argue with that price. Sarri’s men have already beaten Arsenal and were just a wonder strike from Daniel Sturridge away from beating Liverpool, so it’s hard to see how a United side with one win out of their last five will cause them too many problems. By 'dutch' backing Draw/Chelsea @ [5.4] and Chelsea/Chelsea @ [3.0] in the Half Time/Full Time market you can increase the price on the Chelsea win to approx [1.92]. Obviously, I am taking on the Man Utd/Chelsea outcome to enhance the match odds price but I am happy to do so based on the fact that United have failed to score in the first half of their last five Premier League trips to the Bridge.